Got a hankering to see Hank on Opening Day? Brewers Opening Day is right around the corner and Heiser Chevrolet has your tickets! Register to win today through Saturday the 29th at 3 p.m. at our dealership in West Allis and you could find yourself at Miller Park Monday. We have 3 sets of tickets and will be drawing the lucky names by the close of business this weekend. So, hurry in and try your luck. While you’re there, we’d love to offer you a test drive of one of our great Chevy vehicles. This month marks Chevy’s Open House, a time you can browse the lot and be welcomed by spring incentives that will have you itching to buy. It’s also Chevy Truck Month and the all-new 2014 Silverado has never seen incentives like this. Plus, Heiser is adding a complimentary bedliner and $300 Accessory Credit with every new truck purchase. So, hurry in! Looking forward to welcoming you to Heiser Chevrolet in West Allis for a test drive and your chance to enter and win. If the top of the Empire State Building provided a fine climbing wall for giant gorilla, it should also be cozy corral for a 2015 Ford Mustang. 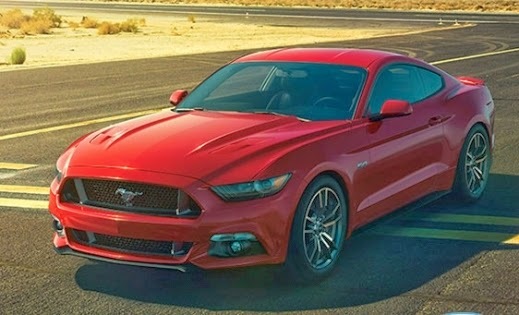 Ford said recently it is planning to plant a 2015 Mustang convertible on the observation deck of one of the world's tallest buildings, mimicking a similar stunt done 49 years ago in the same place. It marks the half-century mark celebration for the iconic American car. "New York is one of the greatest cities in the world, and it's the place where the Ford Mustang story began 50 years ago," says Mark Fields, Ford chief operating officer, in a statement. "We're thrilled to be visiting the architectural landmark that has been the heart of the Manhattan skyline for 83 years with the newest generation of the car that is the soul of Ford Motor Company."